Sadly, there was yet again a plethora of bigots to choose from this week, but none so clearly sank to such a nasty level as this BWA, making this week’s winner an easy choice. Venture capitalist Thomas Perkins wrote a letter to the Wall Street Journal complaining about the way the rich are treated in the United States. Yes, you read that correctly, this rich, straight, white guy is feeling mistreated because a few progressive voices are complaining about the lopsided distribution of wealth and inequitable treatment of people based on their net worth. The myopia and hypocrisy would be tragically laughable, but Perkins managed to work in a bizarre Nazi reference and some aggressive anti-Semitism. Writing from the epicenter of progressive thought, San Francisco, I would call attention to the parallels of fascist Nazi Germany to its war on its “one percent,” namely its Jews, to the progressive war on the American one percent, namely the “rich.” … Kristallnacht was unthinkable in 1930; is its descendant ‘progressive’ radicalism unthinkable now? Did anyone else throw up while reading that? What is this man smoking? American progressives are the “descendants” of the Nazis? Jews in 1930s Germany were the equivalent of Perkins, Romney, Koch, and the other malevolent 1%ers in America? Perkins has no shame, no sense of history, and a stunning lack of awareness of his own power and privilege. the vituperation is making our friend’s point about liberal intolerance — maybe better than he did. So, people calling a nasty bigot a nasty bigot is intolerant? Blasting anti-Semitic, hyper-privileged nonsense as nonsense is intolerant? I don’t think that word means what the editors think it means. This is such a grotesque situation that it leaves me in despair. Are we to really supposed to pity people who carry enormous amounts of power, wealth, and privilege? I worry that not only does Perkins have no moral compass, but that the Wall Street Journal also lacks any sense of proportion or irony. Yesterday the world lost one of its longest-lasting voices for social justice. 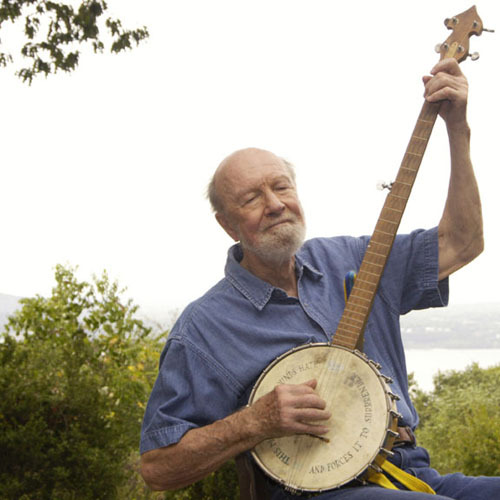 Pete Seeger — singer, songwriter, environmentalist, peace activist, and social justice pioneer — died at the age of 94. His long musical career was inextricably interwoven with his passion for equity and basic human rights. Seeger was born in Manhattan in 1919. His father, Charles Seeger, founded the first collegiate musicology program in California in 1912 but was forced to resign for his outspoken pacifism during the first World War. His stepmother, Ruth Crawford Seeger was a noted composer and one of the most important resources for folk music in the early 20th Century. Pete blended what he learned in his youth into a long, beautiful career. He learned banjo and began singing, passions that derailed his attempt to pursue a journalism degree. While he considered his future, he began working with the legendary Alan Lomax at the Library of Congress, cataloging early folk and protest music. He joined the integrated cast of the radio broadcast Back Where I Come From, joining Woody Guthrie, Burl Ives, Leadbelly, and other luminaries. Although the ensemble was well received — including an invitation by Eleanor Roosevelt to perform at the White House — the racially integrated cast kept the show from national syndication. An avowed socialist, Seeger had first met Guthrie at Will Geer’s Grapes of Wrath concert for migrant workers’ rights. His politics became an ever-stronger part of his music. He sang with the Almanac Singers, a group designed to function as a singing newspaper promoting the industrial unionization movement, racial and religious inclusion, and other progressive causes. That group evolved into the Weavers, which had a huge hit with Leadbelly’s Goodnight Irene in 1950. Throughout the music, he attended and organized many protest and activist events. I am not going to answer any questions as to my association, my philosophical or religious beliefs or my political beliefs, or how I voted in any election, or any of these private affairs. I think these are very improper questions for any American to be asked, especially under such compulsion as this. As a result he was indicted and tracked by Congressional officers for the better part of a decade, losing many performing opportunities. This did not stop him from performing and speaking out, including early work in the growing civil rights movement of the 1960s. Seeger sang and spoke out for decades, providing wonderful music and powerful messages. He and Joan Baez helped popularize the use of We Shall Overcome as a civil rights anthem. He co-wrote famous protest and equality songs like Where Have All the Flowers Gone, If I Had A Hammer, Turn! Turn! Turn!, and The Bells of Rhymney. He championed disarmament, opposed American intervention in Vietnam (and all subsequent wars and military actions), fought for environmental justice, and demanded quality education (including the teaching of music) for all children. Seeger never slowed down. In his 94th year he appeared at concerts and events for Farm Aid, activist Leonard Peltier, and a protest commemorating the bombings of Hiroshima and Nagasaki. quietly passionate, firm in his beliefs, and actively engaged over a more than 80-year career, Seeger was a model of social justice and civic engagement. 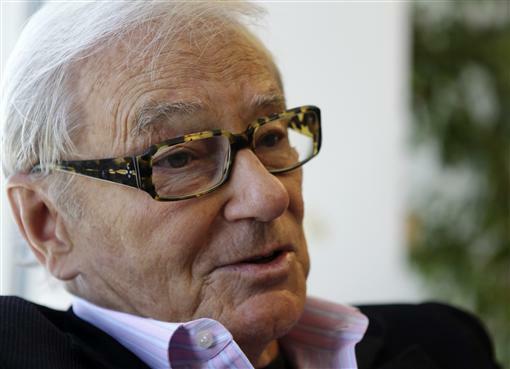 His legacy is indelible and his witty, bright presence will be sorely missed. I need to thank my friends Nel Ward and Jodi Sisson, both of whom have amazing voices for social justice, for inspiring me to write this story. I have always appreciated Katie Couric, never more than when she interviewed Sarah Palin. 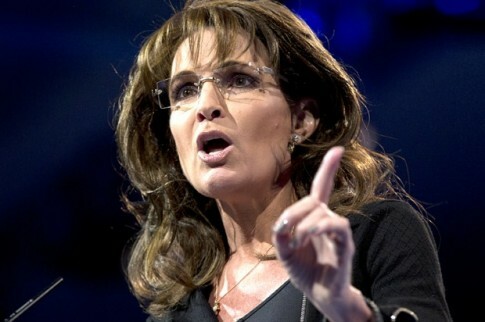 Couric was one of the very few who actually approached Palin as a journalist, for which I will always be grateful. Sadly, this story brings up many questions for me around Couric’s intent and impact on the targeted transgender population. What was lovely was how Laverne Cox handled the interview. She was exceedingly gracious and did a marvelous job of highlighting her activism within the LGBTQ community. Brava! That preoccupation…objectifies trans people and then we don’t get to deal with the real lived experiences. The reality of trans people’s lives is that so often we’re targets of violence. We experience discrimination disproportionately to the rest of the community and our unemployment rate is twice the national average…When we focus on transition, we don’t get to talk about those things. Perfectly stated. Again, I will challenge us all to focus on Hearts Not Parts! Ms. Couric, if I have in any way misrepresented you, I welcome your feedback. Well done, Ms. Raintree! Fortunately, here in Portland, Oregon we have several organizations that support transgender people, including TransActive, which supports transgender youth. It’s not just another holiday. In 1994, President Clinton signed legislation – put forward by Sen. Harris Wofford (D – PA) and Rep. John Lewis (D – GA) – which transformed the decade-old holiday. 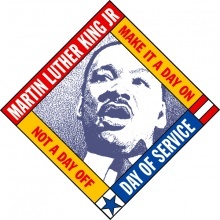 The goal was to challenge Americans to use the day for citizen action and volunteer service. As noted on the official site for the day, “It calls for Americans from all walks of life to work together to provide solutions to our most pressing national problems.” What a lovely lens of social justice. Sadly, our most pressing national problems remain: racism, homophobia, misogyny, poverty, and increasing numbers of people experiencing homelessness. The legacy of Dr. King is multi-faceted. While he is known as a civil rights leader, he also maintained that these rights required the active engagement of all citizens. Civic engagement is a key component of being part of a democratic society. There is great value in communities being interdependent. In the era of standardized testing and teaching to those tests rather than skills (a legacy from the George W years), civics has been sadly omitted as a part of regular curriculum. For the record, civics is “the study of the rights and duties of citizenship.” (Oxford Compact Dictionary) Social Studies is often only the residue of the rote names and dates approach to learning, leaving out the active role granted to and required of good citizens a la The Social Contract. The Center for Civic Education is working hard to change this circumstance. The Campaign to Promote Civic Education effort is a fifty-state campaign (including the District of Columbia) aimed at restoring the civic mission of our nation’s schools by encouraging states and school districts to devote sustained and systematic attention to civic education from kindergarten through twelfth grade. In Oregon, civics was dropped as a part of core curriculum in 1997. Recently, a concerned Legislature created the Civics and Financial Education Task Force to address the gaps in civic education. The final report of the task force articulates significant frustration with the current climate in education but does propose a small return to civics education beginning this school year. As you enjoy the holiday, please give some thought to what you do to give back to your community. If you are not able to volunteer today, look for an opportunity in your area and commit some time. If there are young people in your life, take the time to make sure they are learning about their role in an active, meaningful democracy. And, just for fun, revisit some civic learning that might just make you smile, because being a part of a free society should also bring us joy. We must all stand in solidarity if we are to eradicate racism, homophobia, misogyny, and poverty. The 50 Year War on Poverty: Where Are We Today? 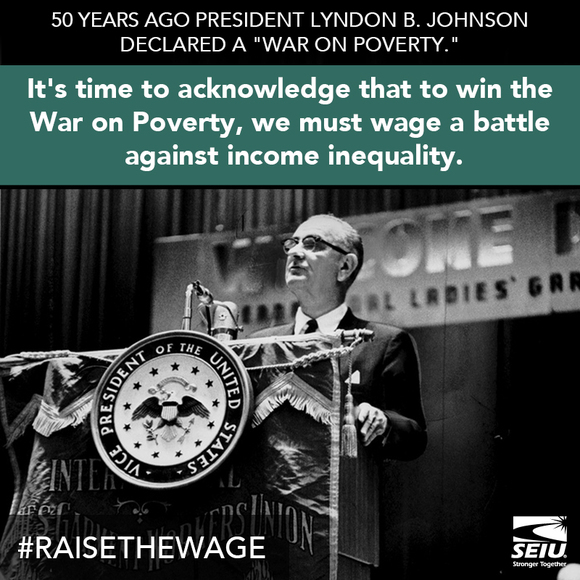 Continuing with my desire for an increased awareness around issues of poverty and class — which automatically addresses issues of race, gender, sexual orientation, and the many other intersections of identities — I thought it might be helpful to do some reflection since President Johnson initiated his War on Poverty 50 years ago. As we reflect on issues of poverty and class (and all of the implications therein), it might be helpful to keep in mind that today over half of the members of the United States Congress are millionaires. Yes, leading the pack is our Republican Darrell (I Hate the Poor) Issa, with a net worth of approximately $464 million dollars. Of course, Republican Obstructionist Mitch McConnell also made the list of millionaires. When those crafting policy are so far removed from the practical concerns of everyday people, it’s no wonder that they make so little effort to improve the lives of those people. For years, polls have shown that the top priority for Americans is job creation. Congress has done virtually nothing. 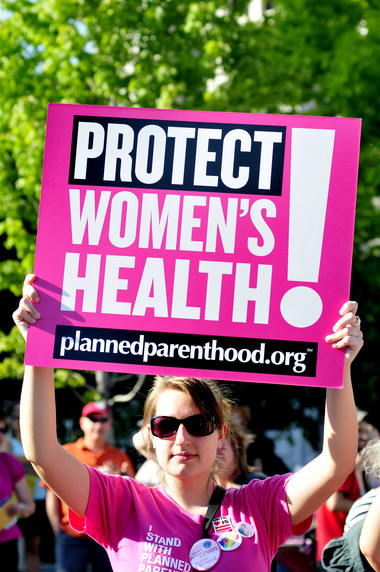 Instead, congressional Republicans have wasted money fighting the Affordable Care Act, a law that ensures that the poorest still have access to necessary health services. Trying to score Tea Points, they shut down the government, again disproportionately harming the poorest, both government employees and service users. In a nation where the highest court has decided that corporations are people, it comes as no surprise that those conglomerate entities wield their power to collect more wealth. The result is an increasingly skewed distribution not just of wealth but of security. People who are scrambling for a basic living have precious little time to fight for their rights. That makes the recent fast food and Wal-Mart strikes even more impressive. War on Poverty? It seems like poverty is winning, abetted by the authorities who should be bearing arms against it. How sad this makes me for the late President Johnson, who tried so hard to address issues of poverty by creating social programs that would help lift people out of poverty without judgement and shame. Today, most poor Americans are in their prime working years: In 2012, 57% of poor Americans were ages 18 to 64, versus 41.7% in 1959. Far fewer elderly are poor: In 1966, 28.5% of Americans ages 65 and over were poor; by 2012 just 9.1% were. There were 1.2 million fewer elderly poor in 2012 than in 1966, despite the doubling of the total elderly population. But childhood poverty persists: Poverty among children younger than 18 began dropping even before the War on Poverty. From 27.3% in 1959, childhood poverty fell to 23% in 1964 and to 14% by 1969. Since then, however, the childhood poverty rate has risen, fallen and, since the 2007-08 financial crisis, risen again. Poverty is more evenly distributed, though still heaviest in the South: In 1969, 45.9% of poor Americans lived in the South, a region that accounted for 31% of the U.S. population at the time. At 17.9%, the South’s poverty rate was far above other regions. In 2012, the South was home to 37.3% of all Americans and 41.1% of the nation’s poor people; though the South’s poverty rate, 16.5%, was the highest among the four Census-designated regions, it was only 3.2 percentage points above the lowest (the Midwest). Sadly, today we see our own version of the Hunger Games being played out. The people with the most power have the most money and continue to strip benefits from those that need it the most. Perhaps obliviousness is their greatest privilege.